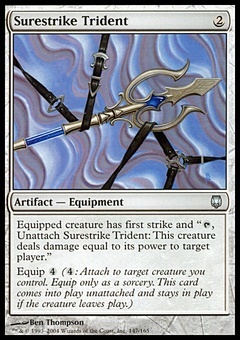 Tanglewalker ($0.08) Price History from major stores - Darksteel - MTGPrice.com Values for Ebay, Amazon and hobby stores! 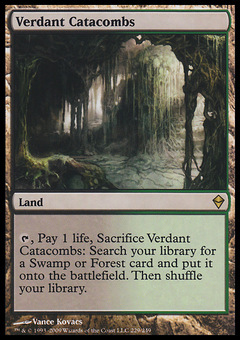 Card Text: Each creature you control is unblockable as long as defending player controls an artifact land. 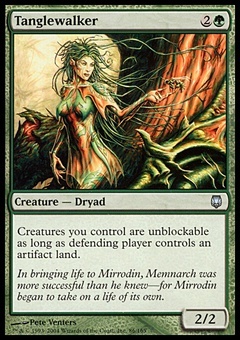 Flavor Text: In bringing life to Mirrodin, Memnarch was more successful than he knew-for Mirrodin began to take on a life of its own.